Spotted at Heartland Logistics in Modesto, CA. Looks like the 'Road Ready' truck, it has a matching trailer to go with it! 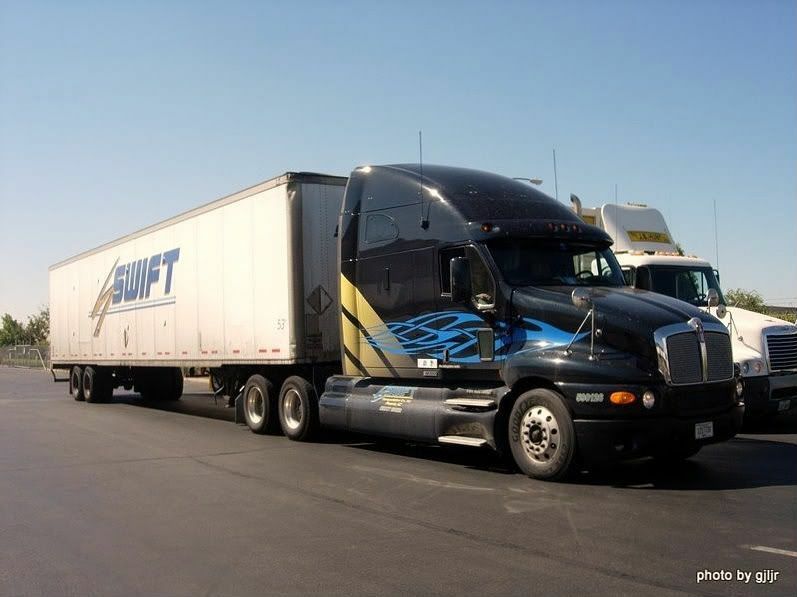 I heard that Swift no longer does the 'Road Ready' classes, not sure if thats true or not, but thats probably why it's not hooked to its trailer. I'll have to find out whether or not they still do the 'Road Ready' seminar. If you go to this thread and scroll down, CW posted a shot of the trailer that's supposed to go with it! BTW, it's a company truck, nice catch! Thanks for that info Swift#1.